Beautiful theme and exquisite sample. Here are my butterflies. Great sample! Here's mine, on my blog. This is beautiful! 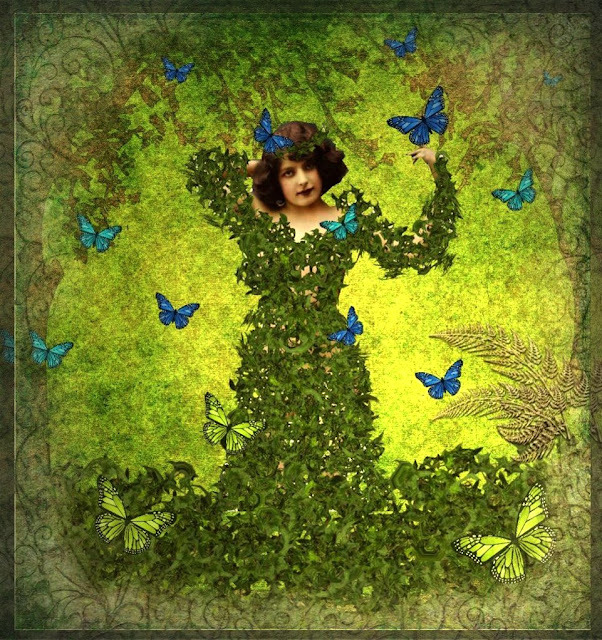 I love your beautiful ivy butterfly lady! Your Mother Nature is sweet, Marie. My butterflies are on my Foxglove hollow blog. Here's my piece for this lovely theme. thanks for inspirational challenge ! My butterflies are on my blog - hopefully, if not they are flown. Here are my butterflies over the field. Thank you for visiting and looking. The sample is very beautiful.